DENVER – Dedric Delaine Mayfield, age 39, of Denver, Colorado, was sentenced yesterday by U.S. District Court Judge Lewis T. Babcock to serve 57 months in federal prison for being a felon in possession of ammunition, Acting U.S. Attorney Bob Troyer and Bureau of Alcohol, Tobacco, Firearms and Explosives (ATF) Special Agent in Charge Ken Croke announced. Following his prison sentence, Mayfield was ordered to serve 3 years on supervised release. The defendant, who appeared at the sentencing hearing in custody, was remanded at its conclusion. Mayfield was indicted by a federal grand jury on January 25, 2016. He pled guilty before Judge Babcock to being a felon in possession of ammunition on June 28, 2016. He was sentenced yesterday, September 20, 2016. According to court documents, including the stipulated facts contained in the plea agreement, on September 22, 2015, in the middle of the afternoon, the defendant and his friend were at a carwash near 35th and Downing in Denver, Colorado, washing a Sports Utility Vehicle (SUV). The carwash was next to a gas station and a convenience store. A group of rival gang members arrived at the carwash. The defendant observed them and signaled for his friend to leave the carwash bay and join him in the open parking lot. His friend did and, shortly thereafter, gunfire erupted. Mayfield’s friend exchanged gunfire with the rival gang members and was struck. 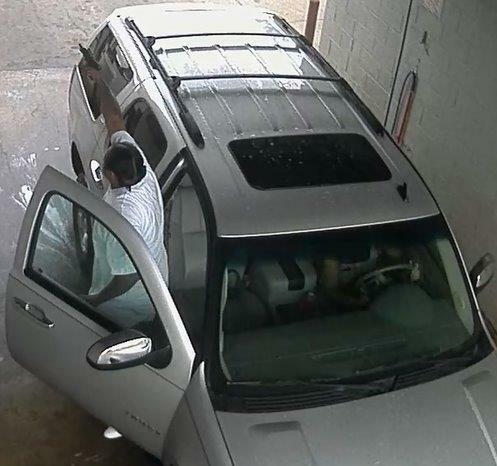 The defendant and his friend returned to the carwash bay and got inside the SUV. The defendant took the gun from his friend and then fired the gun repeatedly from the carwash bay. Shell casings fell on and near the SUV. The firearm was not recovered. The defendant drove his friend to the general area of the Denver Health Medical Center and left him for people passing by to take inside for medical care. The defendant’s friend died, as did one of the rival gang members. Investigators recovered 9mm shell casings from the area of the carwash by where the defendant fired the gun. The defendant, a convicted felon, was not allowed to possess ammunition. This case was investigated by the ATF and the Denver Police Department as part of Denver’s Crime Gun Intelligence Center. Denver’s Crime Gun Intelligence Center uses cutting-edge technology and a dedicated investigative team to stop shooters and identify their source of crime guns before they can commit further criminal acts. This is a partnership between ATF, Denver Police Department, Aurora Police Department, Lakewood Police Department, the District Attorney’s Offices for Denver, Arapahoe, Adams and Jefferson Counties, and the U.S. Attorney’s Office for the District of Colorado.